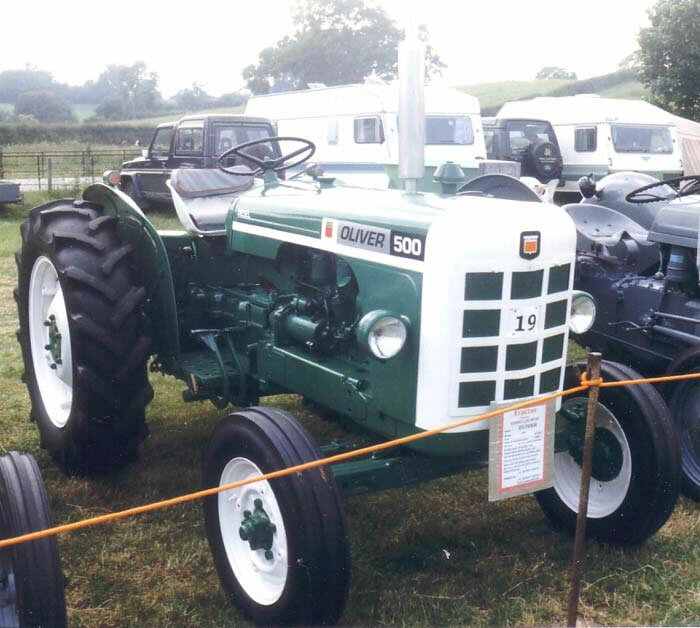 The Oliver 500 Diesel Tractor was basically a David Brown 850 in Oliver clothing. From 1960 to 1963, the Oliver Corporation sold both the David Brown 850 and the 950 re-badged and repainted as the Oliver 500 and 600 respectively as part the American Oliver range of farm tractors. The Oliver 500 was powered by a 35 h.p. diesel engine, a 35 h.p. petrol engine was also available. Transmission was via a six forward and two speed gearbox and differential lock was standard. The hydraulic linkage was for category 1 implements only.